Rita Lucero will find a hidden necklace that was located in the bakery thanks to a new employee. She will be delighted with the find but as she learns more about the necklace Rita wonders if it is indeed cursed. The Cakes of Monte Cristo is the sixth book to the series A Piece of Cake Mystery by Jacklyn Brady. I really liked this book, I got into the story right away. The mystery of the ruby necklace intrigued me. You wondered what family it truly belonged to and why was it hidden. Rita is still stressed and jumping to conclusions but she seems a little less stressed. Though she is as curious as ever and stubborn as she does not believe everyone’s warning about the necklace. To be honest I don’t know if I would believe but I would be wary. I was happy that Miss Frankie wasn’t so overbearing with things she was having Rita complete. It seemed their relationship was back on track. Rita is still wondering about Ox and his resentment. It really seems that he doesn’t have any but Ox is not what you call a people person. If this series is finished then I am happy for the most part, but there was no conclusion on to who Rita will be with and that bugs me. Jacklyn Brady is leaving it open. Although maybe this isn’t the end, if it isn’t I think I would be willing to continue reading it. Stephen Crenshaw, Marquess of Dunwich, was back in England after several years away as a soldier. He had been a rake back then but he has changed. He knew what was important and that was getting the woman he had loved back. Lady Faith Westover, daughter of the Duke of Strathmore, had loved Stephan. She was blinded to his rakish ways but when he had left her eyes had been open. Now with Stephan back Faith will try to keep away but he wouldn’t let her, not until she forgave him. Once a Scoundrel is the fourth book from the series The Secret Life of Scoundrels by Anna Harrington. I really enjoyed this novella. It was short and straight to the point. The novella covered a lot, a betrayal, love, second chances, rumors, and friendship. Faith’s character had been hurt by the man she loved and wasn’t ready to forgive and forget. Her betrayal was understandable. I think the betrayal might have been a little over dramatic, though nothing annoying. I thought Faith was a refreshing young lady with a good head on her shoulders and now was guarded with her heart. Stephan will find a way to her heart but it will be Faith to make the ultimate decision. Stephan’s character had changed, and changed for the better. I liked that he truly did change and it wasn’t a facade in order to get what he wanted. He was sincere and filled determined to do right in his life. I liked that he had to work to get what he wanted. The Duke of Griffin needed a chaperone for his sisters and he immediately found one with Esmeralda Swift. He was determined she would be the right one. The problem was he started to feel things for Esmeralda and he needed to be clearheaded with a possible threat to his sisters. Esmeralda Swift was working hard to keep the agency afloat. When The Duke of Griffin comes for employment her prays are answered. Though the job will get tricky when Esmeralda will start to have feelings for her employer. Last Night With the Duke is the first book to the series The Rakes of St. James by Amelia Grey. This was a cute romance that was very quick to read. I thought that Griffin’s character was wonderful. He was a rake but those were the old days. Now he just wanted to make sure his sisters had a chance in society. I liked that he took the situation seriously and wanted the best for his sisters. I also liked that his wanting of Esmeralda was more sweet. He didn’t act the rake he had been and rush her to the bedroom. Esmeralda’s character was all about business and keeping herself and sister safe from the poorhouse. She took her work seriously and I liked that she didn’t given into Griffin the moment the attraction was known between them. It was sweet as they became friends, then something more. The scandal that happened with Griffin and his friends was a mistake and one that was making things difficult. It was cruel but no one had been ruined. Now with Griffin’s sister’s making their coming out he had to protect them from possible threats of ruination. I will say the threat was more overplayed in the book, that I had wondered if anything would happen. The next book to this series will be coming out December 2017. After reading through the collection of Jane Austen’s books I was given several suggestions by fellow blogger Dot at La Deetda Reads. She had suggested two books, Charlotte Collins and Caroline Bingley by Jennifer Becton. I had looked into the story about Charlotte first and discovered that it sounded familiar. I had read the book about four years ago, so I crossed that book off my list and went in search of Caroline Bingley from my library. Caroline had been exiled from her family and she was sent to her mothers home. Caroline was very resentful of her brother and the Bennett sisters but she was determined to get back into his good graces and to find herself a wealthy suitor. I was apprehensive of reading this story because like many who have loved Pride & Prejudice Caroline’s character was not loved. She was snotty and thought she was above everyone else, especially the Bennett sisters. After reading Jennifer Becton’s novel I will have to say that I like Caroline, don’t love her character, but definitely liked. I thought Becton did a really fantastic job on keeping Caroline’s character in tact from the original story. In this novel Caroline was the main character, which really let you get to know her. I liked her in this novel because you got to read that she truly loved her family and wanted what was best for everyone. She just goes about things the wrong way. It also helped that Caroline was given a dose of her own medicine. She is humbled by the situation which lets her truly follow her heart. In the end I was cheering for Caroline to find that happy ending with the right man. Armie Jacobson has wanted his best friends sister for many years but he has kept away. He didn’t think that he was good enough, then he will find himself playing protector to Merissa and things will start to change. He will find out that the woman he has wanted for years, wanted him as well. But there will be a problem and Armie will have to protect Merissa from being hurt when his past comes out. Merissa “Rissy” Colter has loved Armie for years but she was always seen as a little sister. Then something changes. They will kiss and Merissa will become aware that Armie wants her, but he is still distant. Merissa will not let Armie go which means she has to pursue. Though Merissa will have a problem when accidents are happening around her and Armie’s past comes back. Fighting Dirty is the fourth book to the series Ultimate by Lori Foster. I loved this book. So far, I’ve loved this series. 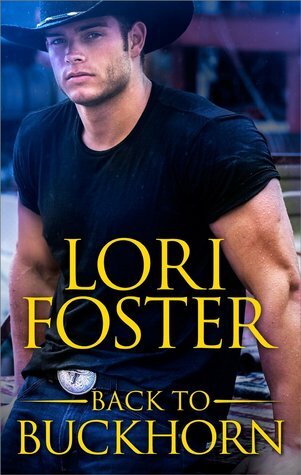 Though as always I am a Lori Foster fan and I really loved that she went back to the stories with fighters, like the ones in SBC Fighters series. In this one she even brings back several of the main characters from the SBC Fighters series and Jude from the book Jude’s Law. Alright, so Armie’s character is fantastic. He was not your typical hero. He was loud and known for his sexual exploits. But then he worked for kids and was sympathetic towards them. He was someone you could count on. Merissa was a woman who did the right thing and was just living her life. I liked Merissa but I wanted her to either take the chance and get closer to Armie or step away. Well she does take that step with Armie which I loved. Together they were perfect for each other because they completed each other. Armie was not that outrageous and Merissa was not that shy. The problems that occurred were due to Armie’s past and Merissa’s. Armie’s past I had wondered about since the beginning of the series. I had a couple guesses and one of them turned out right. I liked that Foster will resolve the issue which helps Armie move on. Merissa’s problems weren’t from that long ago in the past, more towards the present. I thought that the problems they faced were well developed and it made me want to know more. Lori Foster is continuing with the series but the next book comes out in January of 2017. So I have a bit of a wait but I have no doubt I will enjoy it. Zoey Hodge was back in her hometown to help her mother. Back when she was a teen Zoey’s ex boyfriend got into an accident and was killed, Zoey was blamed for the golden boy dying. When she comes back there will be those who still blame her but she could always count on the Hudson family to have her back, especially Garrett. Garrett Hudson had a crush on Zoey when they were younger and he will find that his crush was not over. With Zoey back home he finds himself thinking of the possibility of spending more time with her. Garrett will find plenty of excuses to stay around especially when it looked like Zoey could be in danger. Back to Buckhorn is the seventh book to the Buckhorn Brothers series by Lori Foster. I really liked this novella. Another great story from Lori Foster. I really liked how Foster wrote Zoey’s character. Zoey was a free spirit and did not let things get to her. She accepted things and moved on. Well her attraction to Garrett was one thing she would never let go. I felt for Zoey when she came back to town and how there were some that still thought she was to blame for her ex’s death which it clearly wasn’t. The boy made the mistake and he faced the consequences which was sad for his family. Amber is playing matchmaker throughout these books which is humorous. She is a force to be reckon with. I hope that Lori Foster will write a story with Amber and then another story but with Adam. The last book that I am reading from the Buckhorn Brothers series is A Buckhorn Summer, which I will be reading next.